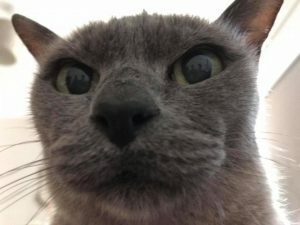 Jeffery is 16 and was rehomed through the Benevolent fund earlier this year! A little update on Jeffery here at his retirement home by the sea. I can’t thank the benevolent fund enough. 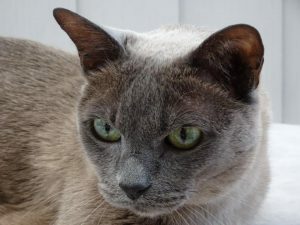 We can heartily recommend a senior Burmese, Jeffery is the most loving and affectionate boy! Jeffery likes to get up close and personal for hugs in the morning! 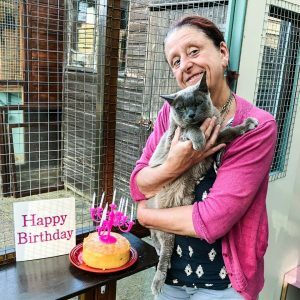 Here he is celebrating his 16th with foster mum Kym before he was rehomed.